Four rich, warm reds to see you through winter. Enjoy great savings on this selection of McLaren Vale red wines. Join us for an afternoon of rich red wines and hearty food at our JOSEPH Winter Wild Lunch, starring the new 2016 JOSEPH red wines perfectly paired with a seasonal feast by La Dolce Vita Catering. This long, relaxed lunch is the only cellar door event at which we pour our JOSEPH wines, an unmissable opportunity to enjoy the JOSEPH range accompanied by a specially created menu. Discover just how good the 2016 vintage was in McLaren Vale as we pour the new release 2016 JOSEPH Moda Cabernet Merlot, Angel Gully Shiraz and Nebbiolo accompanied by a lavish five course lunch. Don't miss this cosy afternoon of gourmet indulgence as you and your friends relish the beauty of winter in wine country, the highlight of the winter season. La Biondina (the young blonde), a modern Australian classic, returns to cellar door with a new vintage. The nose has fresh passionfruit, pineapple, guava and citrus notes. 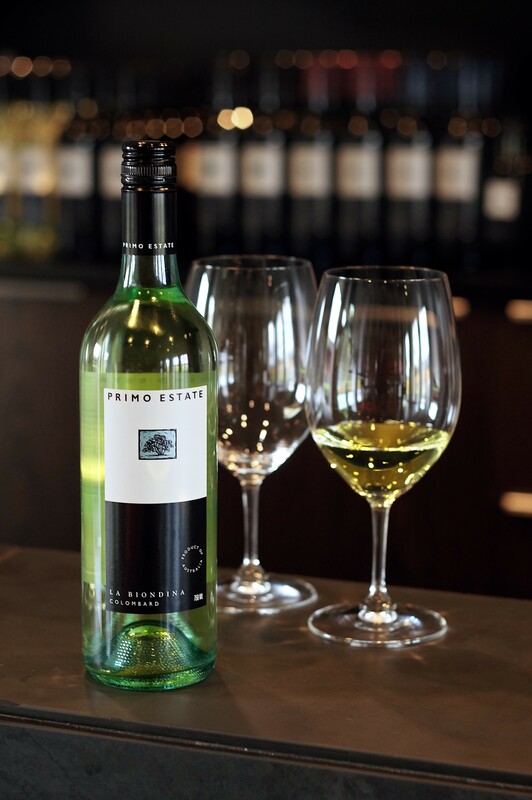 The palate has mouth-watering acidity balanced with ‘fruit salad’ exuberance. Bursting with juicy passionfruit, mango and citrus flavours; La Biondina brings the taste of summer all year round. The Adelaide Plains are just 10 meters above sea level and benefit from cooling maritime breezes (you can see the ocean from our winery). The dry, sunny climate and sandy loam soil are perfect for growing the late-ripening Colombard variety. Half of the fruit is picked a first ripeness to give fresh, citrus fruit notes, while the remainder is allowed to hang for another fortnight to develop the rich tropical passionfruit flavours that are such a feature of La Biondina. 2018 saw perfect growing conditions in the Adelaide Plains. The long sunny days with no extreme weather conditions produced beautiful fruit from healthy, flourishing vines. A long cool fermentation in stainless steel to preserve delicate fruit flavours, followed by early bottling to capture the freshness. June sees the arrival of the first new extra virgin olive oil of the season, fresh from the press. This unique celebration of fresh, seasonal produce will see Matteo Grilli flying his family’s new 2018 JOSEPH First Run Extra Virgin Olive Oil around the country for an unmissable series of wine dinners, all starring the new oil. Relax with a glass of wine and a delicious plate of seafood as the Squid Ink food truck visits our McLaren Vale cellar door. Celebrate the arrival of the new vintage of Primo & Co The Venetian Garganega, fresh from Italy where Joe makes it in the Soave region just outside Verona. Enjoy delicious panini, lasagna and arancini in our beautiful cellar door courtyard as Feisty Filomena food truck brings some Italian classics to Primo Estate. Bring the family together to spoil mum with a relaxed long table wine lunch in McLaren Vale's most stylish cellar door. Enjoy a day of rich red wines and hearty food in the depths of winter as we pour the newly released 2016, Angel Gully Shiraz and Moda Cabernet Merlot for the first time, accompanied by an Italian wood oven feast. A traditional Italian celebration of the first buds of spring in the vineyard. Welcome the new season with a relaxed long table lunch of our Italian inspired wines perfectly paired with a menu of seasonal local produce. Our Italy vs Australia taste test returns as we celebrate the arrival of our new vintage of 2017 Primo & Co The Tuscan Shiraz Sangiovese all the way from Italy. Enjoy delicious wood oven pizza at this relaxed long table lunch. Tickets go on sale around six weeks before our events. Join our Amici Primo mailing list to receive notice when tickets are released.